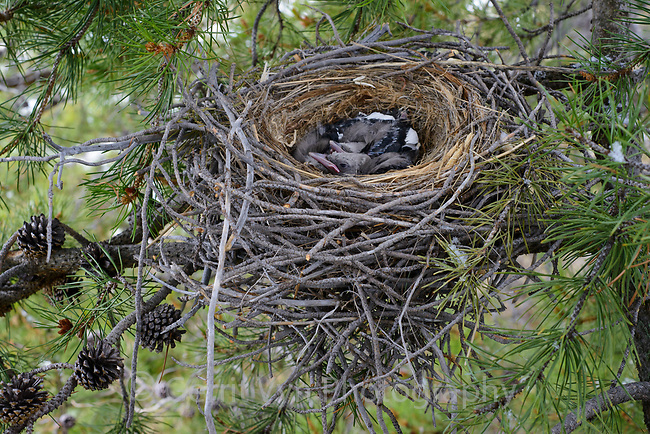 Clark's Nutcracker (Nucifraga columbiana) nest and chicks in a lodgepole pine. Teton County, Wyoming. May.